Trends and innovations in 2017 will be centered around the connected consumer. As shoppers purchase through multiple channels and grow used to the convenience of online shopping, they are beginning to expect a similar service in physical retail stores. This is leading to an increasing need for retailers to connect the customer experience across all consumer touch points effectively and seamlessly. As the new year approaches, many retailers will be left licking their wounds following a competitive peak trading price battle. With budgets taking a knock during this period we expect to see more retailers looking to invest in technology that can help boost the customer experience to drive high value brand loyalty – which will pay off in the long run. As a result, retail technology investment – although cautious – will take off as the New Year arrives. But as retailers hold on tighter to their purse strings, retail technology will have to work harder than ever before to prove its return on investment and show how it can directly encourage consumer spend during such turbulent economic times. Considering this worrying backdrop, here are the areas of technology that I predict will see an influx as 2017 approaches. I predict that a big move towards achieving a better connected customer experience will be through the adoption of machine learning technology. 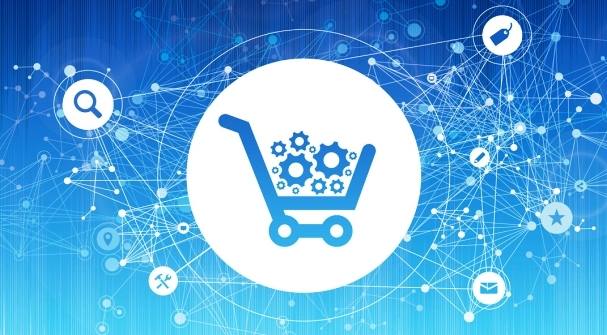 More retailers will look to implement machine learning to automate the purchasing process and make online shopping even more convenient for the customer. Machine learning technology will ‘learn’ and predict the customer’s most likely next action, preloading pages to speed up browsing, or providing the best channel for them to complete the action effortlessly. As a result, machine learning will play a part in influencing a customer’s buying decisions and paths. Another area which we expect to see retailers invest in is the building of partnerships across brands to drive loyalty. Customer loyalty is essential to encourage organic brand advocacy, from a source that other shopper’s trust. To generate this type of loyalty retailers and brands should offer incentives and rewards to maintain and peak customer interest and brands need to ensure that bad experiences won’t put off shoppers returning. As shoppers shop across multiple channels, making their purchasing habits difficult to track for retailers, loyalty needs to act as the bridge between the online and offline retail experience. It should also fill in the gaps and moments in time when the customer is not visible to the retailer. This invisible stage is typically when the customer shops in-store – and as customers are used to the personal service they receive online – this is particularly dangerous for the retailer who is at risk of providing a service that is not up to the consumer’s expectations. By using a loyalty scheme, the retailer is able to recognise their loyal customers in-store providing them with relevant discounts and promotions based on their recent transactions. This effectively connects the customer’s path to purchase journey and bridges their online / offline brand experience. Mobile – and smart phones in particular – are always-on, always-to-hand for the consumer and are arguably becoming an extension of their very identity, presenting retailers with a rare opportunity to have an intimate, one-on-one conversation with their target audience, at any time. These devices are shaping the way consumers shop, as they research products and offers online, share images of products with friends, or look for inspiration. Our research shows that while most decision-makers in retail think that mobile-focused companies will disrupt the sector, only around half of them have mobility as their number one priority, and even fewer have a comprehensive and detailed mobile strategy. Mobile purchases are low compared to desktop orders or in-store purchases, which helps explain the current lack of investment. However, mobile commerce is on the rise and we predict that retailer investment in 2017 will reflect this trend. In terms of future retail technology investment towards the end of 2017 and beyond, the sky is very much the limit. SQLI’s lab is currently working on chat bots and while this technology has typically been used in the finance sector, it would also work very well for retail. Chat bots could, in the future, be installed in the consumer’s home and when they run out of an item the shopper can say “add milk and bread to my basket” and ask, “when can I get my basket delivered?” Retailers such as Amazon – with Amazon Echo – are already implementing this technology and I expect to see this become increasingly mainstream as more consumers grow used to the idea. More innovations will connect together as IoT really gets under way, for example, car applications will be able to ping notifications to drivers if they approach a store that has promotions on their favourite products. The app will also be able to notify the driver that the car has free spaces available, tapping into the growing need for retailers to provide a convenient customer experience. In conclusion, 2017 is going to be a tough year for retailers – and they know it. B2B technology suppliers will have an equally hard time selling services and products to the penny-pinched retailers and will have to work hard to prove the worth of their services. Technology will need to improve the connected customer experience, working to bridge the gap between the online and the offline experience, providing a convenient, quick and enjoyable path to purchase to encourage brand loyalty and boost the bottom line. ← How Does The Web Design Process Work?